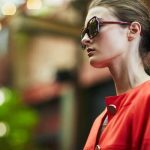 Angelo David is New York City’s leading hair salon for luxury wigs, hair extensions, and thinning hair solutions. At Angelo David Salon, anyone can have the hair that he or she always wanted—completely customized for volume, length, color and personal image. 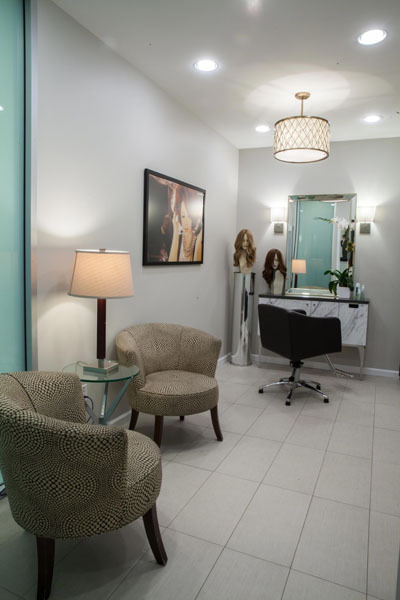 As the home of Couture Hair™ Extensions, Wigs, Hair Pieces, Ponytails & Additions, Angelo David is a full service salon that can address any hair challenge with the finest and most innovative solutions in the world. During an initial consultation, clients and their specialist explore every option together. When designing is completed, the Couture Hair™ is custom-fitted and seamlessly applied, using the ideal attachment method for the individual. Then, the hair is cut and styled for flawless blending. Like haute couture designs, everything about Couture Hair is original and personalized. The result of years of research and development, for fine, thinning hair it can solve any hair challenge. Angelo David Pisacreta is the owner and Creative Director. He is a world-renowned stylist and colorist, as well as the originator of Couture Hair Extensions & Additions, and the developer of The Angelo David Hair Care collection. By pairing his impeccable designing skills with artistic cutting, coloring and styling abilities, Angelo has transformed even the most challenging hair into lust-worthy locks. For those who have been affected by hair loss issues, Angelo David recommends his signature Hair Detox by Angelo David. The all-natural supplement, available at Angelo David’s luxurious Madison Avenue Salon and online at www.hairdetox.com, aims to detoxify the body from the inside out and restores clients’ ability to naturally grow fuller and healthier hair while preventing hair thinning and loss. In addition to serving as a hair treatment, Hair Detox by Angelo David also assists the body in balancing the effects of everyday environmental toxins, stress and hormone imbalances. The salon expanded and relocated to a custom-designed, luxurious new space at 420 Madison Avenue early 2015. 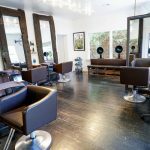 The slick and modern 2,500 square-foot flagship space is highly specialized, and boasts seven private “VIP Hair Suites,” as well as a Hair Extension Styling Bar, a Beauty Concierge Department and a Beauty Lounge. 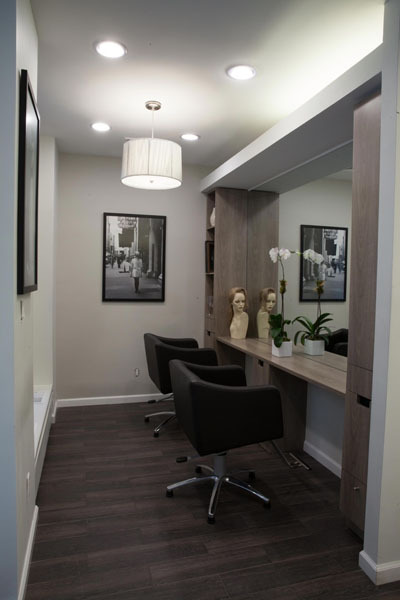 Designed and developed by Chicago-based design company Michele Pelafas Inc., Angelo David Salon is New York’s newest upscale destination for hair and beauty where service, comfort and quality are of the utmost importance.